Clinics and hospitals, among other healthcare industry facilities in New York, just like other places worldwide, are where patients go to seek treatment. The level of hygiene in these facilities should be as high as possible; otherwise, the treatment services offered will not be as effective as they should. It is even possible for patients to develop secondary illnesses if they are treated in a facility that doesn’t observe proper hygiene measures. Talking of hygiene, you can’t have a hygienic place if pests are present. Seeing pests running here and there in a healthcare facility is not only bad experience for patients but also puts them at risk of developing various health problems. Some pests like rodents, cockroaches, and mosquitoes are responsible for the spread of disease-causing organisms such as viruses and bacteria. From unsanitized places such as toilets, trash cans, and drainage systems, these pests will pick these disease-causing organisms using through their bodies or saliva and deposit them on places that are supposed to be highly sanitized, hence contaminating them. The pests also lead to the contamination of food when they step on utensils or the food itself. With these pests roaming in your healthcare premises, your patients and employees are at risk of developing various concerns. High employee sick leaves interfere with the productivity of your workforce while patients with deteriorating health as a result of pest infestation makes your facility to have a bad reputation and stand a closure risk. Besides, pest problems in your facility make it vulnerable to legal litigations. The presence of rodents (mice and rats) in a healthcare facility can lead to serious damages on documents, clothes and electrical appliances since they have powerful teeth that can chew anything softer than them. Their damages on electrical cables make your premises susceptible to fire outbreaks. Don’t let rodents enter your facility. 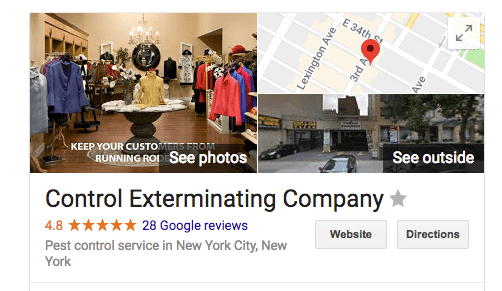 Control Exterminating can solve all your hospital pest control needs in New York. 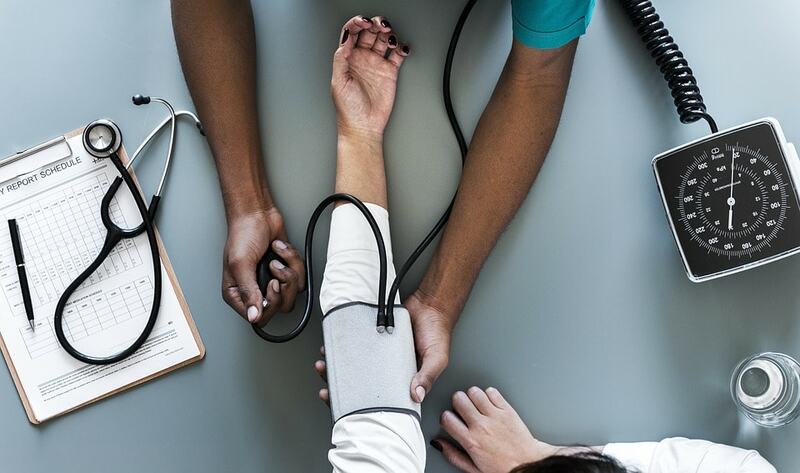 Healthcare centers such as clinics, hospitals and nursing homes in New York have a statutory obligation of ensuring that they have implemented the appropriate pest control measures. The measures ought to aim at protecting all people staying or working in these facilities from the adverse effects of pests as well as their nuisance. Control Exterminating is well familiar with the requirements set by your local authority, the state as well as the joint commission concerning pest management in the healthcare industry. Our commercial pest control services in NYC include integrated pest management programs tailored to address diverse pest problems affecting the healthcare sector. The programs will not only protect your facility from various pest problems but also offers eco-friendly solutions to the issues when they occur. Despite putting proper measures for curbing possible pest infestations, we also conduct regular monitoring to assess their effectiveness and offer timely interventions where necessary. With us by your side, you can rest assured of zero pest-related cross-contamination and a place free from secondary infections resulting from pest infestations, thanks to our innovative, customized and discreet programs. Upon arriving at your place, our pest control experts will assess it thoroughly to establish its unique aspects and the vulnerability to certain pest issues so as to determine the best measures that will effectively address its pest control needs. If you are afraid that the smoothing running of your facility will be affected by our service delivery, then you need to relax since there’s actually nothing to worry about. We have flexible service times; we’ll discuss with you in order to come up with a schedule that will cause minimal (if not no) disruptions to your patients and staff.